I began 2013 by writing about the power of beginnings. This applies to virtually everything, from baking a pie to building a company to developing a human: the beginning contains within it the seeds of the project’s ultimate success…or less-than-success. Scientists are finding that our health throughout life is greatly determined by the prenatal circumstances in which we developed. This “fetal programming” is different than what happens in conditions such as fetal alcohol syndrome, for instance, where the toxic effects of the womb environment are noticeable at birth or early in life. 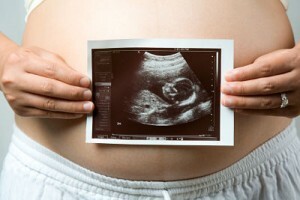 The new findings refer to conditions programmed during fetal development which may not show up until an individual is in his or her forties or fifties! For example, there are now strong links between low birth weight and heart disease; poor nutrition in early pregnancy and diabetes; and high birth weight and breast cancer in women. The practical effect of this research shouldn’t be for pregnant parents to panic, but rather, be vigilant about following the nutritional guidelines provided by their doctor or midwife, such as getting folic acid beginning before conception, eating enough extra calories — of the proper foods — during pregnancy, and gaining the recommended amount of weight. This ensures a healthy baby’s body. However, there is far more to an individual than a physical body, and scientists now regognize that lifelong mentalhealth begins in the womb as well. This supports findings from the field of prenatal and perinatal psychology, that have long suggested that circumstances surrounding conception, pregnancy, labor, birth and the postpartum period have profound influences on lifelong emotional health and wellbeing. There are countless fascinating case histories in the literature to support the connection between experiences in utero and certain compulsions, repetitive behaviors, fears and fascinations in later life. The hot scientific topic these days is brain development. (Indeed, my book Parenting for Peace is designed as a roadmap for fostering the healthiest possible brain development, beginning in the womb.) Data from rigorous studies point to the likelihood that a pregnant mother’s chronic stress has long-term negative effects upon the developing fetal brain. This includes an increased risk of depression and lower tolerance for stress later in life. You see, nature in her wisdom has decreed that while we’re in the womb, our brain develops in direct response to our mother’s experience of the world. Scientists now know that a pregnant woman’s moods have a significant impact upon the brain development of her baby in the womb. If a mother is consistently filled with anxiety or stress during her pregnancy, the “message” communicated to her baby (via stress hormones) is that they are in an unsafe environment — regardless of whether or not this is actually true. 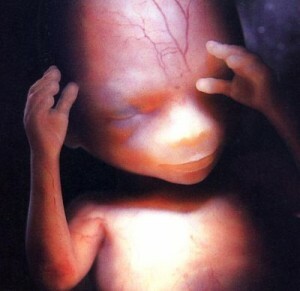 The baby’s brain will actually adapt to prepare for the unsafe environment it perceives it is going to be born into! Chronic stress in pregnancy tends to sculpt a brain suited to survive in dangerous environments: quick to react, reduced impulse control, and a dampened capacity to feel calm and content. This isn’t the mental health foundation we want for a generation of peacemakers! Chronic joy, by contrast, allows for optimal development of each organ, the brain in particular, predisposing the baby to greater health, serenity, and intelligence. Such traits constitute the foundations of lifelong personality. Here, it seems, we see “science and spirit” intersecting: “hard” research from the field of neuroscience is now giving empirical credence to what many esoteric and spirituel wisdom traditions have been saying through the ages – that during the time when we are being knit together in the womb, we are wired with lifelong lifelong lessons about who we are and how we fit into the world. Remember, we’re not talking about a random stressful moment here or there, once in awhile. If a pregnant mother’s thoughts and emotions are persistently negative, if she is under unrelenting stress, the internal message — delivered by hormones to the developing baby — is, “It’s a dangerous world out there,” and the fetal brain is then wired to thrive in a dangerous world. That kind of brain is reactive and impulsive, and short on attention. There are thoughts that regulation disorders such as ADD/ADHD and OCD may have their beginnings in the womb, when the brain’s basic regulatory wiring is laid down. Although the origins of autism remain a mystery, one important clue is certain zones of “malfunctioning circuitry” in brains of autistic people — such as in the area that normally processes faces. Why is this? One place to look — but few have — is the developmental stages occurring during and after birth, a period of rapid reorganization of brain development, mediated by many hormones, most notably including oxytocin, the so-called “hormone of love.” Several studies have found that autistic children show abnormalities in their oxytocin system. Critical early circuitry-wiring of the orbito-frontal cortex — our social-emotional “success center” — occurs just after birth. This is when a complex hormonal cocktail orchestrates intricate exchanges between the mother and her newborn child, all organized around their face-to-face engagement with one another! In spite of much scientific data attesting to the neurobiological havoc that ensues for a newborn separated from its mother after birth, hospital protocols typically disturb the first hours of life. Too many newborns end up receiving a “faulty imprint” (I connect with things, not faces), which can prevent healthy synaptic formation in the areas of the brain that processes faces — as well as human rapport. This may sound hopeless. But sometimes getting a different perspective on stress in general…and stress in pregnancy can be very helpful. And parents who know a few basics of fetal development hold an important key to their child’s lifelong emotional health and well-being! They can be mindful of the unceasing question being asked by the baby in the womb — and continually answered chemically and energetically via the mother’s thoughts, feelings and behaviors: What kind of world am I coming into, Mommy? If they understand that this basic question — and its 9 months’ worth of answers! — is what essentially drives fundamental aspects of their baby’s brain development, they can begin to understand how important it is for the pregnant mother to feel supported, to feel loved, to feel safe… so their baby can arrive ready to love and learn, not struggle and fight! …if you can take even five minutes a day, to think good thoughts, listen to your favorite music, or nourish yourself in any way you want, your kindness will be multiplied a thousandfold and become an organic part of a person’s being for years to come. Five minutes of care is worth years of well-being. One of the best ways that a “pregnant father ” can contribute to his baby’s optimal development in the womb is to love, support, celebrate and cherish his baby’s mother! And, to dream of the great and noble qualities he dreams of for his coming child. His perception of life strongly influences his baby’s mother, who relishes his strength, creativity and sense of hope at this momentous time.